Join The Gossip: Felt Your Heart Beat Giveaway! Felt Your Heart Beat Giveaway! Last month I blogged about an adorable necklace called Three Little Owls that I came across in the Etsy shop of Felt Your Heart Beat. Everybody loved the piece so much that I reached out to shop owner, Nayana, about doing a giveaway and she (obviously) said yes! That means one of my readers gets a chance to win not one, but two, rad items from her amazing shop! Before we get to the goods, I'd like to give you insight into Nayana. Although we've only communicated through e-mail, I can tell she's the type of spunky girl that you just naturally want to be friends with. I mean, c'mon, check out her pic. How fun is that?! When did you create your shop and what motivated you to do it? I opened my Etsy shop in December of 2009. My friend, who comes from a fashion background, gave me a serious reality check after taking a look at my blog and the initial work I had done. He was adamant I also set up a Twitter, an Etsy, and everything else you can name under the sun, in order to better establish the presence of my work. At first I was upset, no one had ever given it to me straight in such a way before. But after reflecting on everything he said I realized he was right. The next day I started on my Etsy and opened up shop with ten items. It was the best thing I have ever done and continue to work on. Where do you get inspiration for the items you make? People and personalities are my sole inspiration. Whenever I meet someone new, I love to observe their gestures, their movements, and hear their voice. I keep this to myself so I don't come off as too strange, but I am usually accessorizing people in my mind. My favourite inspiration is a woman I work with everyday. She has gorgeous blunt cut white hair and she has a very unique style. I constantly come up with new ideas while thinking about what colours and shapes would flatter her look. If I've met you before, odds are one of my designs are inspired by you. Why should every woman accessorize? Because it's way too much fun not to. Here's what one lucky winner will receive, a Wind it Up bracelet and Hoot Hoot earring (since the Three Little Owls were such a hit with you all). To enter you must be a GFC follower of Join the Gossip AND visit Felt Your Heart Beat, pick your favorite item and let me know. If you already follow let me know so you can be entered. That's a total of six possible entries. Contest open to everyone, everywhere! Winner will be announced on Monday, March 28 at 1pm PST. Good luck to all! You know that I'm a follower and I really like the anchor earrings from her shop. I'm loving both of the items in this giveaway. Owls are so cute and that bracelet is very cool. I am a fan of Join The Gossip on FB. What an awesome giveaway! I also love the wind up bracelets. So cool looking!! i'm a follower and i LOVE the wind it up bracelet! Cute jewelries especially the earrings! I love the wind up bracelet, and those anchor earrings are to DIE for. Obviously, I follow you on GFC, Twitter, and Tweeted this giveaway! Her flared out necklace is super cool! 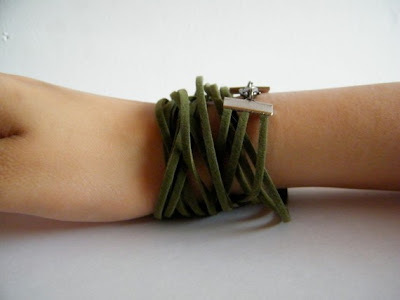 I love the Wind It Up bracelet! Ooh, I am so loving this shop! I love the Royal Pack earrings!. Awesome giveaway! loving the Wind It Up bracelets! I already follow you through GFC and my favorite item from feltyourheartbeat's shop is BAD GIRL presents SNAKE. Yay for Toronto! I noticed that Nayana is from Toronto and that's where I'm from. Thanks for your sweet comment on my blog! I'm already a follower, and I LOVE the silver queen earrings on her Etsy shop. I follow both you and feltyourheart on Twitter. 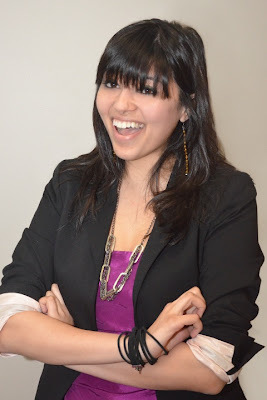 i'm a follower of your lovely blog and am so happy you're featuring a fellow torontonian! my fave piece is *facet*. I love the whole site, but the propelled earrings are my favorite! Great giveaway, I'm a follower! 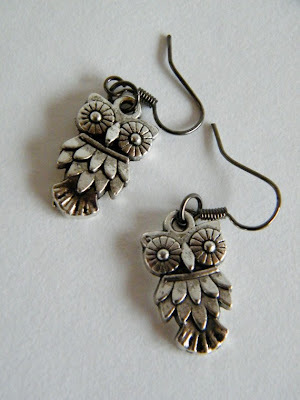 The hoot hoot earrings are probably my favorite! I just love owls. Following you, of course!! And I am going to tweet right now. Oh and loooove the owls. And I love the purple Spiked Goose earrings! So cute! Felt Your Heart Beat Winner! I Got My Claire On!